At Suite Paws, we make every pet feel like a VIP guest. Because we love what we do, we’ve created a clean, fun and safe environment for your pets at our Cincinnati/Milford pet resort. Our range of pet services includes overnight pet boarding for cats and dogs, doggie daycare, grooming and more, with customizable options to meet every animal’s needs — come in and take a tour to see for yourself or make a reservation for your pet today! Our walk in tour hours are from 12pm-3pm Monday through Saturday. Canine guests of Suite Paws in Cincinnati/Milford can choose from our spacious villas or more elegantly outfitted suites. All of our dog boarding accommodations offer larger-than-standard-size dog rooms, Kuranda beds, and bright, tasteful decor. Suites include TVs with guest appropriate programming and webcams to keep families connected while they are away! All dog boarding guests enjoy access to our private yards twice daily. Dogs that pass temperament testing can join in on the fun during our full or half day doggie daycare sessions (additional rates apply). View our pricing list below for the full list of options and rates. Suite Paws will need proof of Rabies, Distemper/Parvo & 6 month Bordetella vaccines BEFORE boarding any dog. 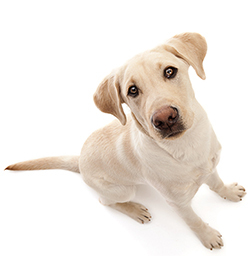 All dogs must be on Heartworm & Flea preventative. Any animal found to have fleas, will be given a bath and capstar at animal owner’s expense. Feline guests of Suite Paws stay in our cat condos, with contemporary glass entries and extensive exterior views. Separate litter spaces meet the demands of even our most fastidious guests. See below for rates. Suite Paws will need proof of Rabies & FVRCP vaccines BEFORE boarding any cat. All cats must be on Flea preventative. Any animal found to have fleas, will be given a bath and capstar at animal owner’s expense. Suite Paws offers pet boarding, doggie daycare and dog grooming in Cincinnati/Milford and surrounding areas. Contact us today for more information.